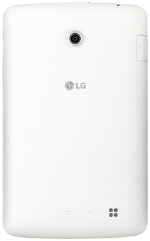 Just like its name says, the LG G Pad F7.0 is an Android tablet that comes with a 7-inch display with a resolution of 1280x800 pixels. With its WXGA IPS display, the graphics are brought to life in an almost life-like experience. From within the device, a 1.2GHz quad-core Qualcomm Snapdragon 410 processor operates to make the tablet a powerful device. It comes with an internal memory of 8GB with a microSD card slot that can expand the memory by up to 128GB. The tablet is built with a 5MP rear-facing camera and a 1.2MP front-facing sensor. Thanks to a 4000mAh battery, the tablet is able to last up to 16 hours of use on a single charge. Running on the latest Android 5.0 Lollipop OS, the G Pad F7.0 is built as one of the tablets with the most advanced user interface. 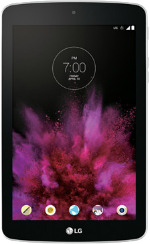 The tablet is available in either black or white color options.